Seo In-young is having a blast in New York! Seo In-young wants her fans to know that she’s doing just fine in New York. The Music Bank host & Jewelry group member is taking a much needed break in America. Many have been wondering about In-young since no one heard any news on her since she boarded a plane and headed to New York in mid-February. Since everyone was worried that In-young might have disappeared from the public eye for good, she posted these pictures taken on the 25th Feb with the title “No Problem” on her minihompy. She’s doing all right. Jewelry’s Kim Eun Jung and Ha Joo Yeon will promote as Jewelry S with members Park Jung Ah and Seo In Young stepping out of the scene for a while. Their new MV was filmed on 20th January. Members Seo In Young and Park Jung Ah were also present during the filming of the MV. Jewelry members Kim Eun Jung and Ha Joo Yun will soon be debuting and do promotions as a 2-member group called Jewelry S in the coming weeks. Korean girl group Jewelry has announced recently that they would be taking an extended break until the end of the year. Other than the scheduled recordings with the 3 major tv stations, they will not be attending other events. Seo In Young expressed on her Cyworld that they have been overly busy in the earlier half of the year and used up quite a lot of energy. For their health, they have decided to take a break as a group and this means that Jewelry will miss out on nearly 20 million won worth of earnings for event performances. The end of the year period is usually the time where singers earn the most money. With Jewelry opting to take a break, their earnings are likely to take a big hit. But according to Jewelry’s management, the members have to release an album and go to school, it’s simply too tiring. For their health, it’s better to just put the money issue aside for the moment. 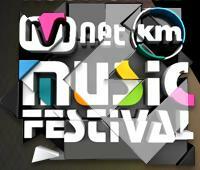 And thus, Jewelry’s performance at the 2008 MKMF is likely to be their last big-scale event for a while. The 2008 Mnet Korean Music Festival (MKMF) took place last night at Seoul’s Jamsil stadium with it being hailed as the biggest-ever in it’s 10 year history. From the red carpet to the awards ceremony, the entire festival lasted 6 hours. Not only that, it was broadcast live in Korea, China and Japan at the same time which meant that much more watched the event for the first time in history. But the most important thing was who will walk away with the big awards. In conjunction with the Korea Festival 2008 next month, Korean singers will gather and perform at the Singapore Indoor stadium on 4th November! 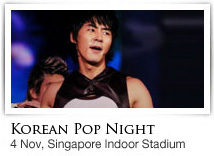 To promote Korean culture in Singapore, the Embassy of the Republic of Korea has organized a Korean Festival 2008 from 1st – 18th November with the highlight being Shinhwa members JunJin and Andy, boyband 2PM, popular girl group Wonder Girls, Jewelry and V.O.S., etc will gather in Singapore for the first time for a Korean Pop Night at the Indoor Stadium on 4th November. >> Lucky Singaporeans! Hehe they’ll be able to see a lot of KPop stars. Wish i had the money to fly there and watch the event. A lot of my favorite stars will be performing, whaaa!!! !